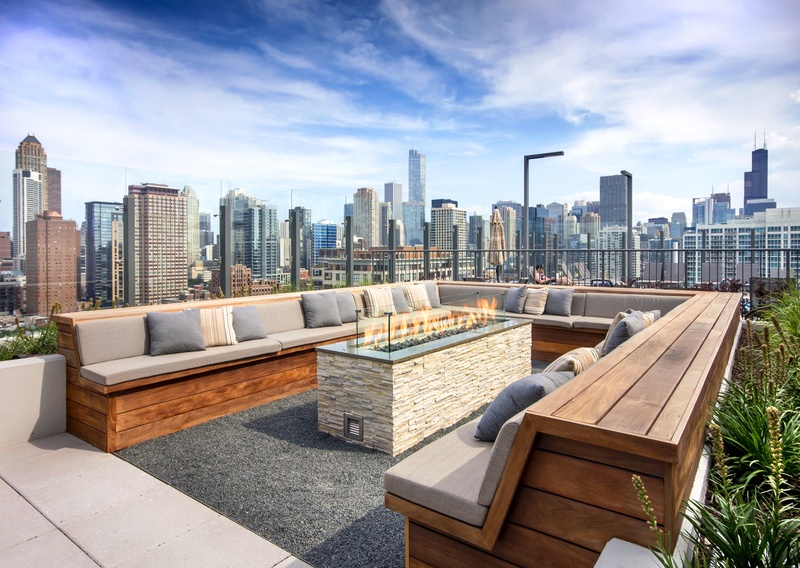 Spring is a time for new growth, and Chicagoland’s apartment stock is no exception–thanks in significant part to FitzGerald’s clients across the city and suburbs. In the fourth quarter of 2014 and the first quarter of 2015, FitzGerald clients have delivered nearly 1,200 apartments and 44,000 square feet of ground-floor retail. In that period we have seen the completion of Fifield Companies and Carroll Properties’ E2 Apartments in Evanston (356 apartments, 12 townhomes, 4,000 SF retail); Trammell Crow / High Street Residential’s Midtown Square in Glenview (142 apartments, 9,000 SF retail); Earthwood Development’s Hutchinson Lofts in Chicago’s North Center / Lincoln Square neighborhood; and White Oak Realty Partners and CA Residential’s Arkadia Tower (350 apartments, 22,000 SF retail), Ascend Real Estate Group and Intercontinental Real Estate Corporation’s The Madison at Racine (216 apartments, 9,000 SF retail), and Focus Development Inc and Atlantic Realty Partners’ Circa 922 (104 apartments) in Chicago’s West Loop.